With an estimated value of between one to three trillion dollars, Afghanistan’s mineral resources have long held intriguing potential. But they also threaten to fuel conflict. In a country already plagued by rampant corruption, active insurgency, and lack of infrastructure and institutions, Afghanistan’s minerals represent yet another possible source of instability. Through illegal mining, millions of dollars are funneled into the pockets of armed groups, insurgents, and strongmen, while only a tiny fraction of the wealth generated from these projects have benefitted the Afghan people. In addition to offering geostrategic leverage, Afghanistan’s lucrative mineral resources could serve as a major justification for the United States to remain in Afghanistan. Mining could boost the Afghan economy while profiting U.S. companies. Most notably, it could provide American firms access to crucial rare earth minerals, production for many of which has been dominated by China. However, with the insurgents’ increasing influence and illegal mineral exploitation on the rise, Afghanistan’s minerals represent not only a lost opportunity, but a threat to the national security of the country. There is a huge potential in the mineral sector of Afghanistan. In order to realize this potential, mineral sector needs considerable attention both from the Afghan government and international community, particularly the United States. With the U.S.-led intervention that toppled the Taliban regime in 2001, the USGS began inspecting Afghanistan’s mineral resources in 2004. U.S. geologists found an intriguing series of old charts and data at the library of the Afghan Geological Survey in Kabul collected by Soviet mining experts during the Soviet occupation of Afghanistan in the 1980s. Armed with these old Russian charts and data, the United States Geological Survey (USGS) launched an extensive scientific survey for minerals. 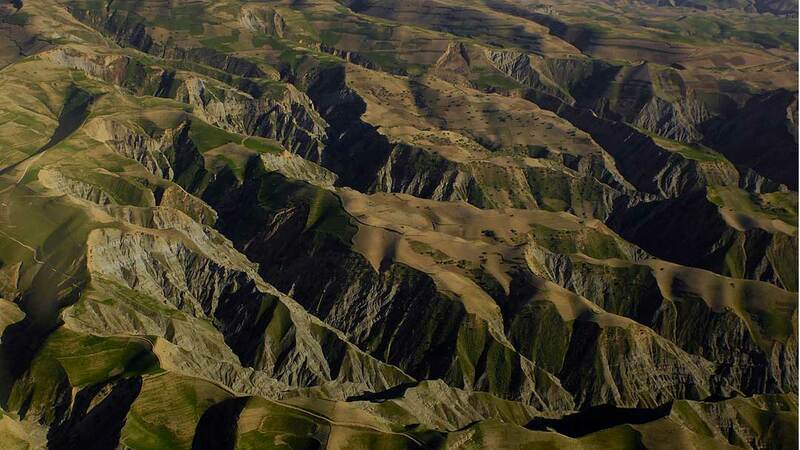 It was the most comprehensive geological survey of Afghanistan ever conducted. Over 43 days and 23 flights, the USGS flew nearly 23,000 miles to collect data. Through airborne missions to conduct magnetic, gravity and hyper-spectral survey over Afghanistan, they flew over about 70 percent of the country. A research modified Lockheed NP-3D “Orion” aircraft was used for the survey and exploration of mineral resources in Afghanistan. The aircraft was equipped with geophysical and remote sensing instruments. Confirming all the major Soviet finds in the past, the USGS concluded that “Afghanistan may hold 60 million metric tons of copper, 2,200 million metric tons of iron ore, 1.4 million tons of rare earth elements such as lanthanum, cerium and neodymium, and lodes of aluminum, gold, silver, zinc, mercury and lithium. For example, “the Khanneshin carbonite deposit in Afghanistan’s Helmand province is valued at $89 billion.” In other words, Afghanistan could become “the Saudi Arabia of lithium,” an important raw material used in the manufacturing of batteries for laptops and smartphones. Rare earth elements (REEs) have become an essential part of modern technology and are used in cell phones, televisions, computers, lasers, batteries and superconductors. Congressional findings have called REEs critical to U.S. national security. REEs are key to the production of tank navigation systems, missile guidance systems, missile defense components, satellites and military communications systems. Rare earth elements and uranium are present in Helmand province. The biggest deposits discovered are iron and copper, which are estimated to be large enough to make Afghanistan a major world producer of both. According to the World Bank, revenue from mines in two sites—the Aynak copper deposit and the Hajigak iron deposit could “generate an average of $900 million per year until 2031.” The findings clearly show the enormous size and variety of Afghanistan’s mineral wealth, which could transform the country into a world leader in the mineral sector. These resources, if properly managed, provide an opportunity for Afghanistan to write its own story of economic success. But, if those resources are not managed effectively, it could deepen the country’s conflict or even help cause a civil war. Afghanistan has endured decades of war. It has been 17 years since the American invasion in 2001, and 39 years since the Soviet Union invasion in 1979. The country is still grappling with more than 20 insurgent and terrorist groups. Currently it is in the midst of an active insurgency by the Taliban and other radical militant and terrorist groups including al-Qaeda, the Haqqani Network, and the Islamic State Khorasan (ISIS-K). Taliban insurgents, warlords and corrupt politicians are all a major threat. In some instances, these actors bond together to exploit mineral resources because they have a shared interest. One of the biggest challenges in developing the mining industry in Afghanistan is insecurity. In particular, gemstones and marble are plundered openly. Due to insecurity and limited presence of the government in some parts of the country, warlords, insurgents and politicians are involved in illegal exploitation of minerals. According to a United Nations Security Council committee report from February 2015, minerals have become the Taliban’s second biggest source of income after illegal narcotics. Through illegal mining, millions of dollars are funneled into the pockets of armed groups, insurgents, and strongmen, while only a tiny fraction of the wealth generated from these projects have gone to benefit the Afghan people. Natural resources, particularly precious stones, have funded war and insurgency in Afghanistan for decades. In the 1990s, the United Islamic Front allegedly earned between $60 and $200 million per year from illegal extraction and trafficking in northern Afghanistan. Mineral resources play an important part in funding the current insurgency. For instance, the Taliban take a significant cut of the profits from mining and tax almost all forms of economic activity in areas under their control. Most notably, this includes the lucrative opium crops of Helmand, the timber trade in eastern Afghanistan, marble cutting in the south, and lapis in the north of the country. Afghan government coffers see very little income from the mining sector, and there are an estimated 1,400 illegal mines in the country.to the May 2016 Global Witness report, “the revenue going to warlords and the Taliban from just one small area of Badakhshan (province) rivals the government’s declared income from the entire Afghan natural resource sector.” In 2014, the two mining areas of Deodarra and Kuran wa Munjan in Badakhshan province alone provided around $20 million to armed groups. Mineral resources are thought to be the Taliban’s second-largest source of revenue, while contributing less than one percent of state income in 2013. Without a robust and practical strategy, mineral resources could turn into a chronic source of conflict and corruption. Natural resources can contribute to conflict, especially when the state does not have complete territorial sovereignty. This is a big possibility in Afghanistan, where according to the new data released by US forces in Afghanistan, 30% of districts are contested or are under the insurgent influence. According to a 2014 mining industry study, some of the most promising deposits of lithium are in the eastern province of Ghazni and the southern region of Helmand province, which are largely under the control of Taliban. Furthermore, in some areas the local warlords and strongmen have more influence compared to the government. State and non-state actors finding sanctuary in the restive and volatile border regions of Afghanistan increases the probability of conflict. Resource rich countries plagued by civil war experience war for longer time compared to resource poor countries. Conflicts create war economies when some parts of a country are controlled by rebels, warlords and insurgents. Members of armed groups benefit from looting, thus using violence in order to maintain their control and access to resources. The insurgents, warlords and other armed groups are still taking a significant cut from mining in many parts of Afghanistan. Taliban insurgents and the recent expansion of Islamic State seeks to tap the country’s poorly monitored mineral resources to fund their operations in Afghanistan, Iraq and Syria. Gemstones and drugs, which are easily extracted and traded, are more attractive for the armed groups. Conflicts sometimes are sparked over mining activities in remote areas of the country. Groups are in competition to counter each other, and in some instances, weaker communities have invited Taliban elements for their protection. With the recent emergence of ISIS in Afghanistan, the country’s mining sector is now facing a renewed threat. The former Afghan Minister of Mines and Petroleum, Daud Shah Saba, told lawmakers in the Afghan parliament that ISIS poses a grave threat to the Afghan mining industry. It is unclear whether ISIS, which is trying to gain a foothold in Afghanistan, will stand against the Afghan government. However, it is entirely possible that ISIS will seek to tap the country’s poorly monitored mining industry to fund their primary operations in Iraq and Syria. The deteriorating security situation has provided more favorable conditions for ISIS. If left uncontrolled, ISIS and Taliban insurgents may pose a major threat through the exploitation of Afghanistan’s vulnerable mines, as it will provide them with funding for their operations elsewhere. Insurgents are attempting to take control of the areas that are rich in mineral resources. In some areas, insurgents have been able to take control of mineral deposits. For instance, Helmand province, rich in chromite and one of the largest opium-producing provinces, has faced fierce fighting in the past decade. Some of the districts in this province are under the control of Taliban insurgents. Badakhshan province, which is famous for its gold and azure mines, and Kunar and Nuristan provinces, which have large deposits of precious stones, have experienced fierce fighting because insurgents in those territories are particularly focused on and attracted by the large deposits of precious stones. This is a dangerous move by the insurgents to seek control of the areas from where they can extract millions of dollars to fund their war machinery. Access to resources has made civil war all the more likely. In Afghanistan, mining is an easily exploitable resource to fund fighting. Research shows that there is a statistical correlation between natural resource endowment and incidence of civil war. The resources themselves often give rise to violent conflicts for control over them. Often conflicts arise in response to various actors’ attempts to control extractive mining sectors. Because of easy extraction and major wealth generated through mines, resource conflict is always a possibility. Resources constitute an opportunity for easy profit by individual and armed groups. Thus, those who have an economic agenda and who are willing to take up arms want access to these resources to derive profits from their extraction and sale. Areas where criminal and insurgent networks are strongly involved are more vulnerable to conflict. Illegal mining is rampant throughout Afghanistan, with more than 2,000 such sites raising money for warlords and the insurgents. A SIGAR report found that illegal mining has been costing the state up to $300 million annually since the Taliban’s collapse in 2001. Insecurity in eastern Nangarhar province and elsewhere prompted Minister Saba to warn Afghan lawmakers in 2015 that monitoring the thousands of mines around the country is impossible, and that the complete and unrestrained looting of local resources might happen in the absence of a peace deal with the Taliban. Without a coherent and immediate response, the vast mineral resources in Afghanistan not only represent a lost opportunity but a threat to Afghanistan’s national security. If robust policies coupled with a comprehensive, realistic and long-term strategic approach are not adopted, there is a significant possibility that Afghanistan will slide into a resource curse and succumb to the same historical cycle of conflict and civil war that most African countries grapple with now. Given the current situation of rampant corruption, an active insurgency, a war economy and the absence of effective state institutions, the country’s resources, if not managed effectively, could potentially open another window of violent conflict and could turn into a curse. With these challenges, it seems that achieving economic stability through the exploitation of these resources will be a challenging task for the Afghan government. Mining in a country like Afghanistan, which has spent decades riled by conflict, will not be easy without a strong commitment from the Afghan government and the international community. Better management of mineral resources could result in sustainable economic growth and pave the way for a lasting peace. Despite formidable obstacles, Afghan President Ashraf Ghani and U.S. President Donald Trump are backing efforts to exploit Afghan minerals. Both presidents had several conversations about mining opportunities in Afghanistan. However, since mining is the Taliban’s second-largest source of funding, the insurgent group might use this US involvement as an attempt to stir up resentment against American troops present in Afghanistan. Rampant corruption in the country is another big challenge. This not only undermines the effectiveness of Afghan security forces and the legitimacy of the government, it is also a big impediment to the path of economic development—and the mining sector is no exception. In order to develop mineral resources, the government needs to solidify its presence and ensure stability, particularly in areas containing mineral resources. Eradicating or at least bringing down the corruption level is important, in addition to implementing reforms in the mineral laws. Mineral rights should be well-defined and a clear legal framework for attracting foreign investment should be established. The Afghan government, with support from the international community, should formulate a long-term, realistic, strategic vision for the development of its nascent mineral sector. The international community can help the Afghan government prevent the illegal trade of minerals that contributes significantly to conflict and strengthening insurgents. The UN Sanctions Committee should begin investigating how mining wealth reaches insurgents and funds illegal armed groups. The international community, particularly the United States, should work in collaboration with the Afghan government to encourage reforms and an effective mechanism of oversight and monitoring of the country’s mineral resources. Management of the mineral resources, which can foster economic development and stability, needs to be a core strategic priority. Given the plethora of problems in Afghanistan, each step of the process will need to be monitored strictly by the international community and watchdog agencies to avoid corruption and ethnic problems, and to ensure that the extraction translates into success rather than turmoil or conflict. Though the country’s nascent mineral sector faces major challenges, it still sends a strong signal to donors and investors around the world that the country could stand on its own feet through extraction of its mineral wealth. Taliban insurgents are not just making gains on the battlefield—they are also bleeding away a revenue source that is crucial for Afghanistan to pay for its military without U.S. help. So far, most of the revenue from the natural wealth has gone to power brokers, warlords and corrupt officials, instead of the Afghan people and the government. Given current circumstances, mismanagement of the country’s resources could open another window into violent conflict. Mineral resources are a key driver of instability that can fuel competition among armed groups and local people and create grievances in the absence of government control. With around 14,000 American troops supporting the relatively new Afghan security sector, it will be hard for the Afghan government to secure all the country’s mines. Mining in a country like Afghanistan won’t be easy without a strong commitment from the Afghan government and robust support from the international community. Afghanistan’s rich mineral resources, if exploited effectively, could prove to be the best substitutes for foreign aid and could decrease the country’s dependence on donor countries and foreign support. These resources, if properly managed, provide an opportunity for Afghanistan to write its own story of economic success. Robust policies and strong institutional arrangements together with clear policy direction will help attract both domestic and foreign investors. Better management of mineral resources could result in sustainable economic growth paving the way for a lasting peace. William A. Byrd and Javed Noorani, “Exploitation of Mineral Resources in Afghanistan,” United States Institute of Peace (USIP), 182 (Nov. 2014): 3. Chin S. Kuo, “The Mineral Industry of Afghanistan,” Minerals Yearbook, International, Asia and the Pacific, U.S. Geological Survey, Vol. 3, (2008): 1. Department of the Army’s Legacy East Project: Jorge Scientific Corporation’s Lack of Supporting Documentation Results in about $135 Million in Questionable Project Costs, Special Inspector General for Afghanistan Reconstruction (SIGAR), 15-43 Financial Audit, https://www.sigar.mil/pdf/audits/Financial_Audits/SIGAR-15-43-FA.pdf. Michael T. Klare, The Race for What’s Left: The Global Scramble for the World’s Last Resources, (New York: Picador, 2013), 139. John F. Shroder, Natural Resources in Afghanistan: Geographic and Geologic Perspective on Centuries of Conflict, University of Nebraska, 2014. p. 415. Stephen G. Peters, Stephen D. Ludington, Greta J. Orris, David M. Sutphin, James D. Bliss, and James J. Rytuba, eds., The U.S. Geological Survey-Afghanistan Ministry of Mines Joint Mineral Resource Assessment Team (Washington, DC: United States Geological Survey, 2007), p. 3. Anthony H. Cordesman, Bryan Gold, and Ashley Hess, The Afghan War in 2013: Meeting the Challenges of Transition: Afghan Economics and Outside Aid (New York: Rowman and Littlefield, 2013), 149. ‘Operationalizing Counter/Anti-Corruption Study,’ Joint and Coalition Operational Analysis (JCOA), February 28, 2014, https://www.hsdl.org/?view&did=756004. Paul Collier, The Plundered Planet: Why we must — and how can – Manage Nature for Global Prosperity (New York: Oxford University Press, 2010), p. 75. 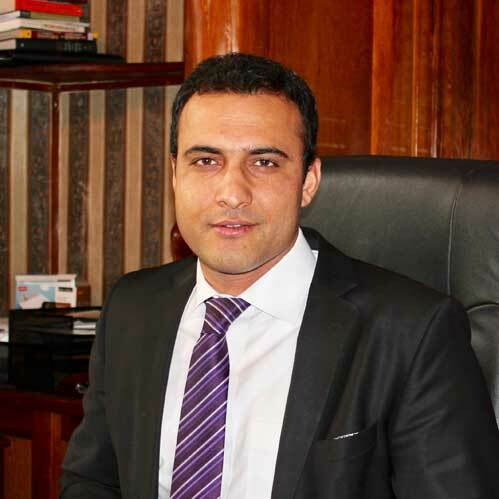 Ahmad Shah Katawazai, an Afghan diplomat and security expert has a Masters degree in international relations and a second Master’s in Global Security Studies from Johns Hopkins University. Katawazai is a member of the Academy of Sciences of Afghanistan and has work experience with government and international organizations. Follow him on Twitter at @askatawazai.